Xray examination of the hand are commonly taken in PA and oblique view, lateral is taken when suspected foreign material is present in patient's hands depending on routine projection of xray clinic or hospitals in radiology department. Before we are going to the Hand xray projections, methods and views including wrist xray, we radiologic technologist must be familiar to the anatomy when we are going to xray or examine radiographically your patient's hand. The Human hand anatomy consist of 27 bones, which are subdivided in a groups: Phalanges, Metacarpals and Carpals. - This are the bones of the digits or fingers, which has a total of 14 bones from 1st to 5th digits knowingly as the phalanges ( phalanx in singular term). This bone is cylindrical body shape has an articular endings and long. There are 9 phalanges, the 2 bones has only 2 articular ending that can be found in 1st digit or thumb (proximal and distal phalanx), while 2nd digit (index finger), 3rd digits (middle finger), 4th digit (ring finger) and 5th digit (small finger) - has 3 phalanges (proximal, middle and distal). The proximal phalanges are attached to palm, flattened shape and small with a roughened rim around their distal anterior end and makes them a spatula like appearance. 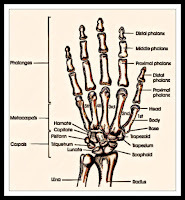 - The metacarpals is the bone in our palms, 5 metacarpal bones are found on each palm. A cylindrical shape and slightly concave anteriorly and forms the palm of the hands. This bone consist of 2 articular ending and long. distal end is the head and the base is located proximally. Metacarpals are numbered 1 to 5, starting from the lateral side of the hand. knuckles is the other term for metacarpal head and located on the dorsal part of the hand. 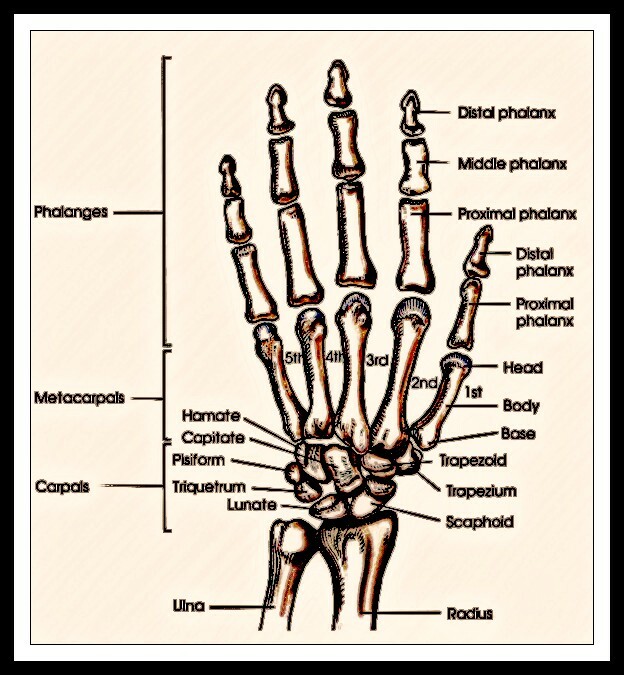 There are 8 closely fitted carpal bones on the wrist, which are arranged horizontally into 2 rows. The carpal bones has an outer layer of compact bones tissue, these bone are classified as short bones. Carpal bones are largely composed of cancellous tissue and commonly classified as short bones. In one exceptions, Wrist bone have other 2 - 3 other names, majority of radiology references uses the preferred as enumerated below. In proximal side of carpal that is near with the distal radius and ulna contains the scaphoid, lunate, triquetrum, and pisiform. The distal side includes the trapezium, trapezoid, capitate and hamate. The largest bone in the proximal row, it has a tubercle on its anterior and lateral aspect for muscle attachment and palpable near the base of the thumb. This is also the most commonly fractured bone. It articulates with the radius proximally and is easy to recognize because of its crescent shape. It articulates anteriorly with hamate and has a roughly pyramidal shape. 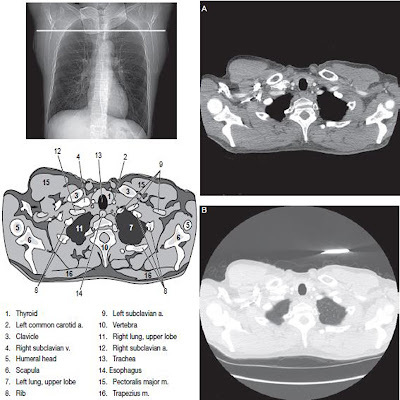 It is located anterior to the triquetrum and can br easily palpated. This bone is a pea-shaped bone. It has a tubercle and groove on its anterior surface. This tubercles of the trapezium and scaphoid comprise the lateral margin of the carpal groove. It has a smaller surface anteriorly than posteriorly. It articulates with the base of the third metacarpal and it is the largest and most centrally located carpal. A wedge shape hamate exhibits the prominent hook of hamate, and sided on the anterior surface. Hamate and Pisiform form the medial margin of the carpal groove. The anatomic snuffbox is triangular depression that is located on the posterior surface of the wrist. It is form by the tendons of the two major muscles of the thumb. The Anatomic snuffbox overlies the scaphoid bone and the radial artery, which carries blood to the dorsum of our hands. Tenderness in the snuffbox area is a clinical sign suggesting fracture of the scaphoid. What is Carpal Sulcus and Carpal Tunnel Syndrome? The carpal sulcus is a concave shape from side to side found in anterior or palmar surface of the wrist. 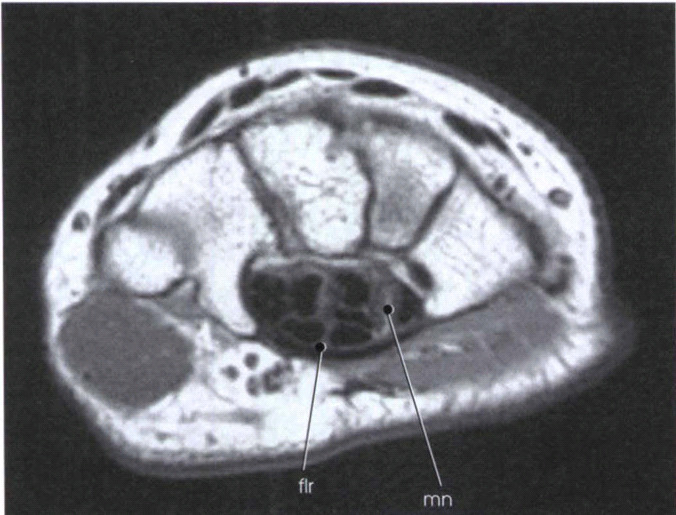 A strong fibrous band known the flexor retinaculum attached medially to the pisiform and hook of hamate and laterally to the tubercles of the scaphoid and trapezium. The carpal tunnel is the passageway created between the carpal sulcus and flexor retinaculum. Median nerve and the flexor tendons pass through the carpal canal. The carpal tunnel syndrome results from compression of the median nerve inside the carpal tunnel. An image of Wrist MRI, the bones are in same position. The position of the carpal bones and the carpal sulcus protecting the tendons of the fingers and the median nerve (mn). The flexor retinaculum (fir) is also seen.